2015 is (almost) officially in the books. Some runners might say it sucked. I was gearing up for Blue Ridge Marathon and got a hernia in February and then got ANOTHER left tibial stress fracture (reaction, actually) in March. So I spent March, April and May not running. And then I spent the rest of the year very, very gradually rebuilding and healing. It was the first year in 10 (+) years that I didn’t do a single race. Not even a 5k! So if you are measuring the year in terms of races run, 2015 was a complete bust. Seeing places you love (Seattle), and new places (Portland/Eugene), with your almost adult kids is far better than any running trip! It’s not always about me. Sometimes supporting the one you love, at the thing he loves (Leadville 100 MTB), is enough. More than enough. There is almost nothing better than being well, after not being well (and not realizing it) for too long. Since being diagnosed with hypothyroidism and Hashimoto’s Disease in September, I am feeling a MILLION times better in so many ways. I have energy. The moodiness and anxiety are gone. I’m back to normal weight. My stress fractures have healed. My brain fog has lifted. 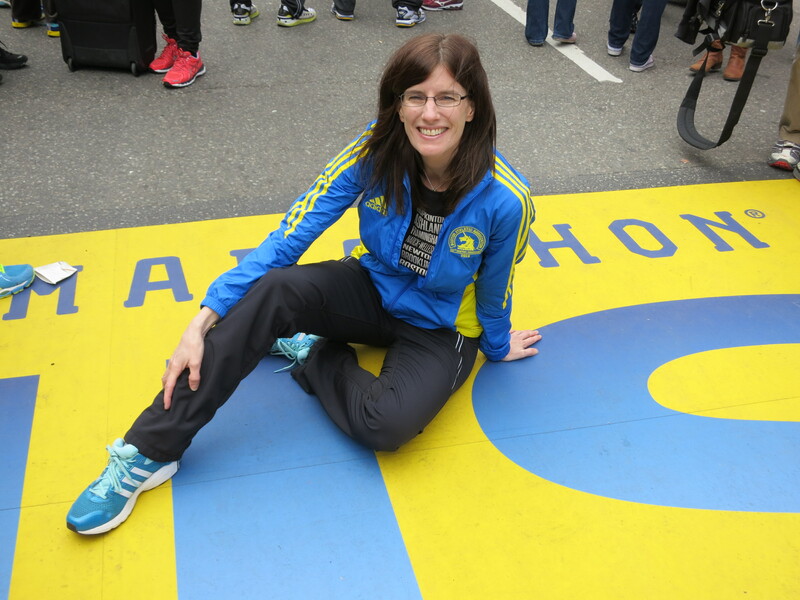 This – figuring out my health issues – has been the best part of 2015! There are things that are just as fun – and good for you – as running. Fat biking! 🙂 I am so thankful for Scott’s encouragement, guidance and gifts to me, which have allowed me to find an additional endorphin – and social – outlet. Passion for running can build new friendships that will last a lifetime. My experience at Minnesuing Acres Women’s Running Retreat was a highlight of my year for sure. Treasure every minute. My daughter is a senior. She’ll be away at college – TBD, but far away from Minnesota – next year. My son is a junior. He’ll be away the next year. It’s sneaking up on me too fast. It’ll sound dorky – but I find myself looking at them an extra few seconds when they say or do something particularly funny or memorable – so that I can attempt to slow down time and file away the image they just created into my memory forever. If 2016 is half as good as 2015 was for me, I’ll be incredibly blessed. I would think long & hard about a guy who thinks taking you to Hayward, Wisconsin 3X in a year is a treat ! Good point! But Kauai made up for it!